UPDATE: As predicted, (see original article below) Google unveiled its new digital music streaming service yesterday as part of the company's current I/O conference in San Francisco. The platform, which is effectively a rival to streaming services such as Spotify, is called Google Play Music All Access and will require a $9.99 a month subscription fee. Alongside streaming access to 'millions of songs', All Access features cloud storage of users' existing music libraries, similar to Apple's iTunes Match, which allows up to 20,000 songs to be uploaded or matched to Google's catalogue for access online and across various Android devices. The service also features an automatic 'radio' feature, similar to tools like Pandora or Last FM, which creates rolling playlists based on an initial song or artist. Google are offering a month's free trial to All Access, which is live now over at the Google Play store, and users that sign up before 30 June will get the service for the discounted price of $7.99 per month. As predicted, there is no free, ad-supported version available. Rumours are rife that Google is set to launch a music streaming service to rival Spotify at its Google I/O developers' conference that's currently taking place in San Francisco. The Verge reports that Google has now signed licensing deals with Universal Music Group and Sony Music Entertainment. These are in addition to the agreement that it's rumoured to have already brokered with Warner Music Group. It's speculated that any such service may operate via both YouTube and Google Play - the company's entertainment hub - and work in a similar way to Spotify. However, the New York Times has suggested that there won't a free option and that it'll be paid subscriptions only. 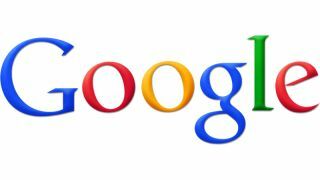 All may or may not be revealed at 5pm (UK time) today when Google delivers its keynote address. This will be streamed live on the Google I/O website.